Check this out, Herb Reichert. Oklahoma City-based Great Plains Audio grew from what was left of the Altec Lansing corporation in 1998. It focuses on manufacturing the classic high-sensitivity drive-units and speaker systems from the legendary company. 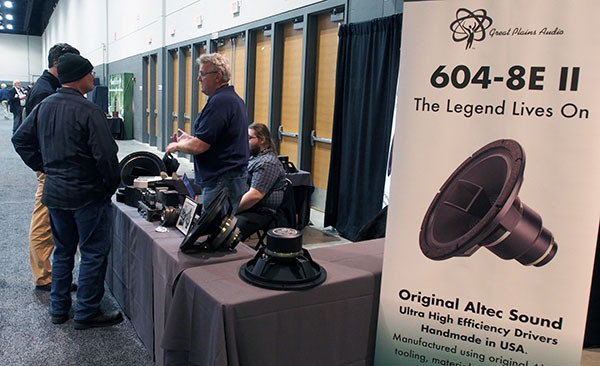 Located next to the AXPONA Master Class Theater, the Great Plains booth featured their version of the classic coaxial drive-unit that was introduced in 1944 and powered recording studio monitors in the 1950s and ’60s.